Senger's Drago Lords took 1st in the singles tourney, while Boss Forskull's mob took 10th out of 34. Then in the Team tournament we grabbed a second place finish. It was a good warm up for adepticon and we'll being itching to get in a scrap once we hit Chicago. 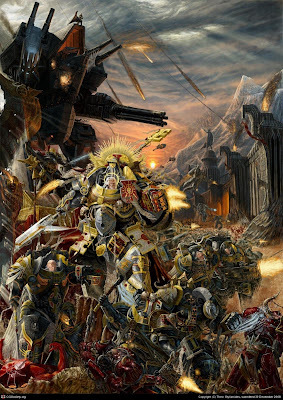 Bad Donkey Gaming brings you another battle report, this time we have Senger's Daemonhunters (balanced list) vs Paul's Crimson Fists. 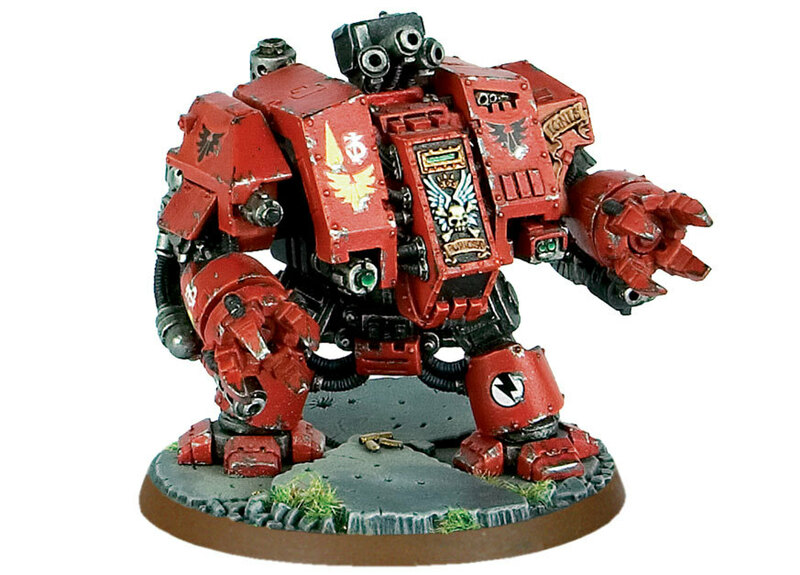 Senger is already ready for the Grey Knight Codex he picked up a Stormraven and painted it up already! 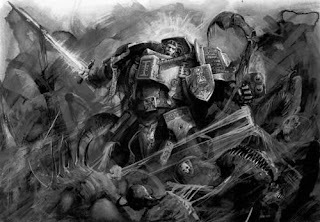 Games Workshop has posted 2 new Blood Angel Data Sheets for Apocalyspe recently and Bad Donkey Gaming is taking a look. This one I really like, not only do you get the potetial to lay down 4D6 hits along an 18 inch line, hit multiple units. The line of fire remains for any units crossing it in the enemies turn which I think is way cool! 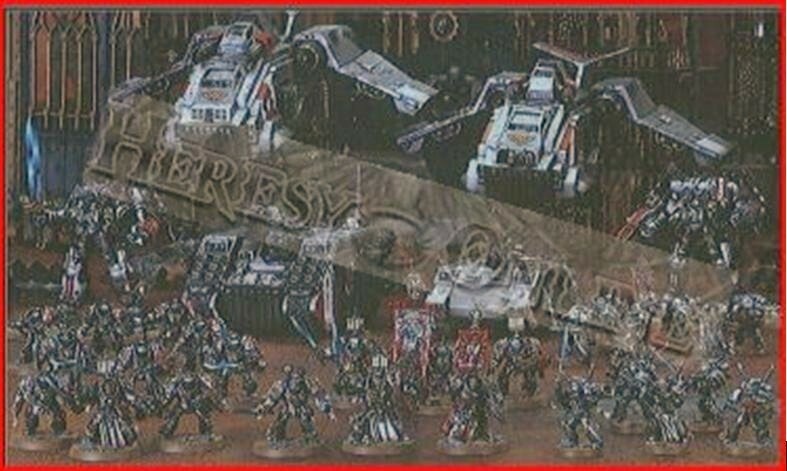 As cool as the Deathstorm Strike Force is, the Lucifer Data Sheet is pretty pointless the only real benifit you get is the ability to deep strike land raiders off one another acting like teleport homers of sorts. But who wants to deep strike a land raider that can die by mishaping on other units. Games Workshop has added the Dark Eldar Beastmaster and his friends to the advance order. Bad Donkey Gaming has searched the web high and low to bring you these tastey tidbits. This year marks major changes to the set up of the Gladiator a 1750pts core with 2 side bars of 500pts. 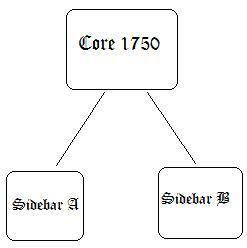 So how do you take advantage of these sidebars to build the most effective list to handle all challenges. 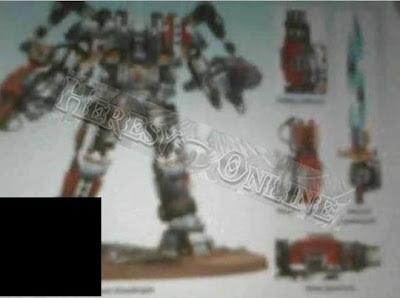 The rumored dreadknight has finally reared its vengeful head. Courtesy of our friends over at warseer. Ckeck it out. 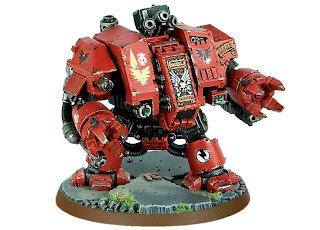 Mind you this is a monsterous creature for the Grey Knights. Check it out on the left and right side. Me loving my Grey Knights you can count on me getting at least two of these bad boys. Bad Donkey Battle Report, Paul's Crimson Fists vs Rob's Blood Angels. Enjoy todays video featured unit of Nob Bikers! This is a my new Dark Angels army, its still very much a work in progress. For now I will wet your appetite with this great video. I've finished up painting the first batch of new Ork Warbuggies for my army, so they are a fitting first video feature. Hope you enjoy. For full tutorial on how to make this buggies click here! Bad Donkey Gaming featuring Senger's Tyranids vs Paul's Crimson Fists. 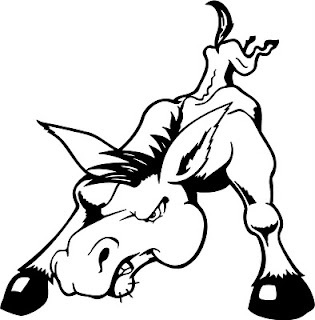 A new video posting for Bad Donkey Gaming. We will be featuring select models or units from our armies and posting short video highlights of them for your view pleasure. Its Febuary 2nd and adepticon is just right around that corner. I know all of you are finalizing lists, getting your practices games in, and putting the finishing touches on your models. We are all looking forward to that weekend of pure wargamer heaven. With this amp up, we are all hitting the local shops gaming our hearts out trying to hone that list to fine point. We here at Bad Donkey gaming are no different than any of you out there. With six of us going from our local gaming club, the nerves are up and the little army guys' testosterone levels are skyrocketing. The competitive spirit really starts to reach a boiling point with our friends and in anticipation of perhaps winning the gladiator or earning that spot on the US team in the championships.